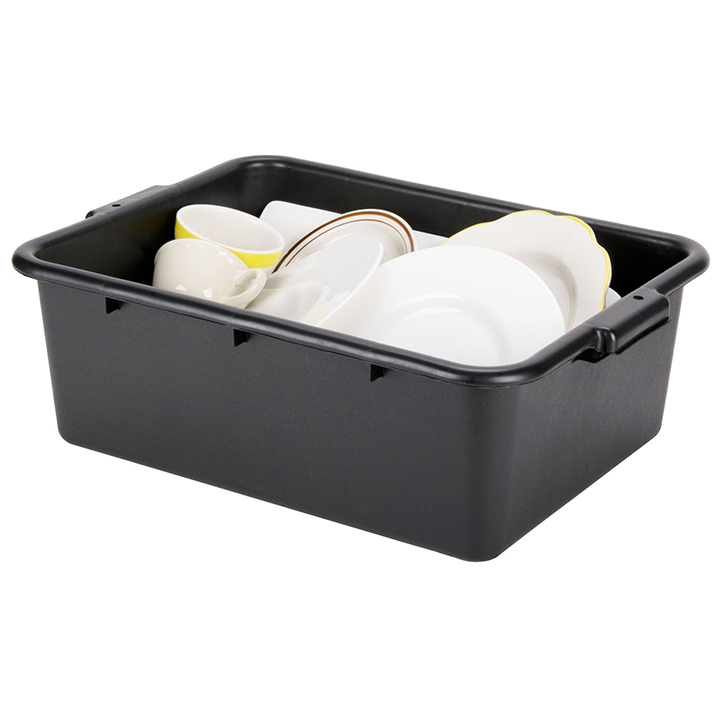 Every catered event will require a way to gather dirty dishes from guest tables. 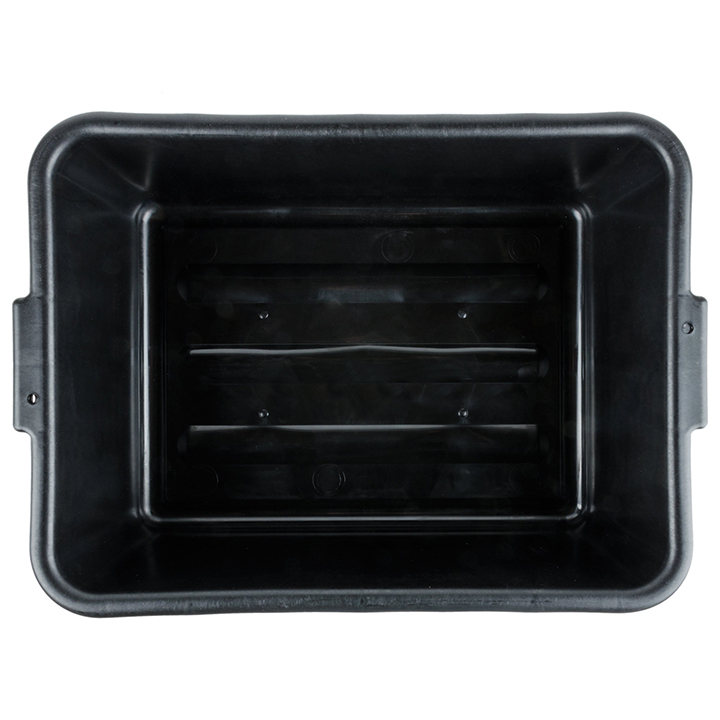 Our "Black Bussing Tub" is the ideal container that will hold a large amount of items so that everything can be quickly returned to the kitchen after service. 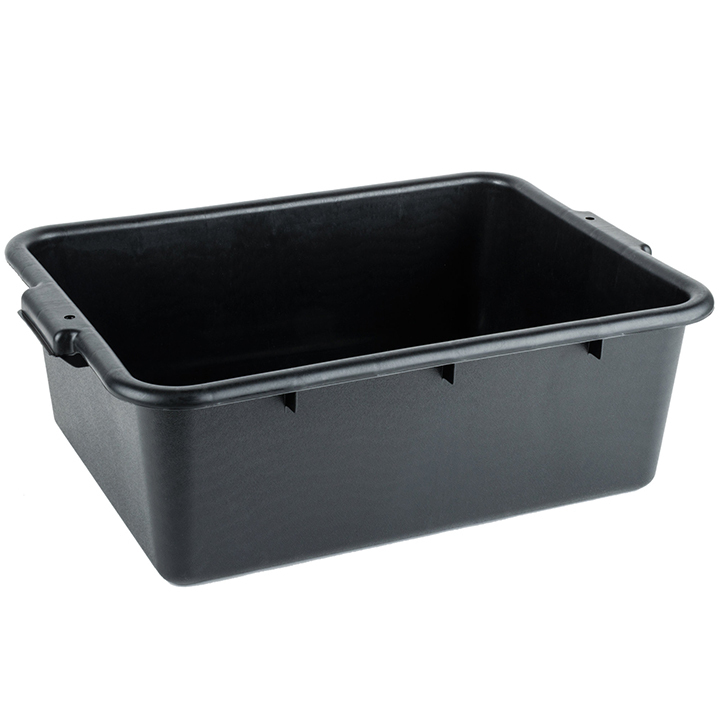 The plastic material is quite sturdy and is made to carry the heaviest of pieces. The design is stackable so that storage is simple. 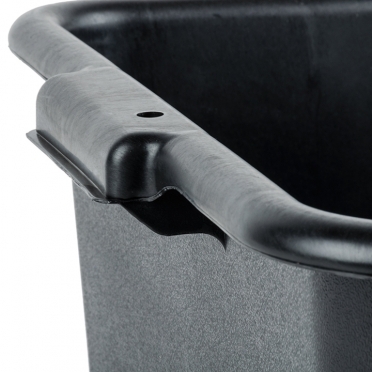 The cleaning crew will appreciate the reinforced handles that make carrying a breeze. 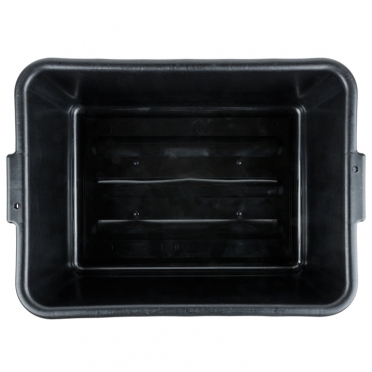 The interior has a pebbled finish, which adds a feeling of sophistication even during cleanup.